Hello Dramatics! Your Drama Queen is back once again with a new segment called You Should Be Watching. Since a lot of my friends and subscribers love and trust my drama reviews, the premise is for me to give a preview and recommendation of Asian Dramas for you to watch and enjoy. For my first segment I would like to talk about the Taiwanese Drama: Better Man. He is twenty-eight years old and the youngest son who is a perfectionist and extremely meticulous in everything he does. He is very straightforward and unabashedly blunt when talking, and he can be hurtfully rude by not giving other people face, making them feel inferior and ashamed. After returning from abroad, his father assigns him the position of CEO. Starting out as two bickering opponents, he meets his match and falls in love with an older woman who challenges his long held principles and habits. He is thirty-three years old and the middle brother. He works in the entertainment industry and also has a side job as a fitness instructor. Outwardly, he seems carefree, loves freedom, and embraces life. He actually is very considerate towards others. He has a special talent with a superb memory and enhanced reading abilities since he was young. He surpasses everyone on memory and reading speed. But he does not care much about women. One day he starts to pay attention to one girl who is in poor physical condition and does not understand sports at all. The eldest son of the Yang family, a forty old who works hard at expanding a catering chain. A mature, earnest workaholic, he has little experience with women and has stayed single. Those around him thinks he likes men. Until one proactive, active, and courageous woman caught his attention and managed to get near him. Little by little after meeting her, be begins to open up but will they be able to over come the eighteen year age gap? The Yang brothers have it all — good looks, brains and family background. But each shuns romantic entanglements for his own reasons. Yang Zhen Wei (Lin Yo Wei) is the workaholic oldest brother who only has his mind set on expanding his catering business. Yang Zhen Hao (Tender Huang) is the middle brother who works in the entertainment industry and as a fitness instructor. Yang Zhen Kai (Jolin Chien) is the meticulous youngest brother who has been given the position of CEO of the family empire. How will the brothers handle their emotions when they each meet a woman who turns their perfect worlds upside down? “Better Man” is a 2016 Taiwanese drama series. This drama looks very interesting because of the storyline. I am curious to see how the story plays out between all of the brothers. I think this is a drama you should watch because of the very interesting and romantic story and the handsome cast as well. If you are in the mood for a romantic drama give Better Man a chance and let me know what you think. Remember to watch and subscribe to my You Tube Channel for more updates. 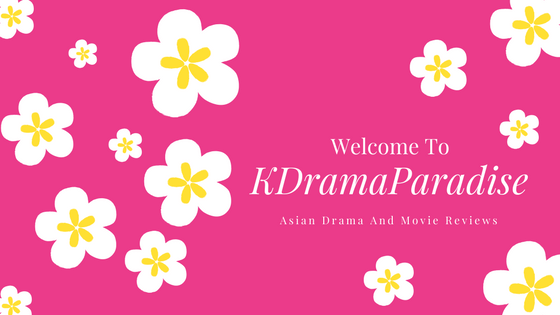 Also don’t forget to subscribe to this blog for all of your Asian Drama updates and recommendations. Well Dramatics that’s all for now! I will chat with you all next time with the next review! Remember To Keep Calm And Drama On! This entry was posted in Review, Taiwanese Drama and tagged BetterMan, JolinChien, LinYoWei, Preview, Review, Taiwanese, TaiwaneseDrama, TDrama, TenderHuang, Viki. Bookmark the permalink. Hi I just starting watching this drama today and just finished episode 6! I am in the mood for a light sweet drama with a bit of romance and family thrown in.This drama is right up my alley. The men all all very interesting and handsome with the added bonus of being brothers who love and care for each other. While the women in the drama are not only lovely but also have very good hearts. They are all sweet hearts. I can’t wait to see how they all get together Do you know how many episodes this drama has? Thank you so much for commenting! I really am enjoying this drama too! I am currently on Episode 8. I love all of the characters in this series as well. I love how the brothers take care of their grandmother. The relationship between them is wonderful to watch. This series has 80 Episodes. So it’s a longer series, but it is very interesting. I am very glad you are enjoying it too!